If you listen to Darwin's Cheerleaders, belief in the Bible (especially a recent, six-day creation) is the domain of the mentally incompetent or scam artists. However, there are actually many scientists, past and present, who reject evolution and accept Genesis as literal history. In addition, there are many non-scientists who believe the Bible as well; scoffing does not equal intellectual superiority — or truth. 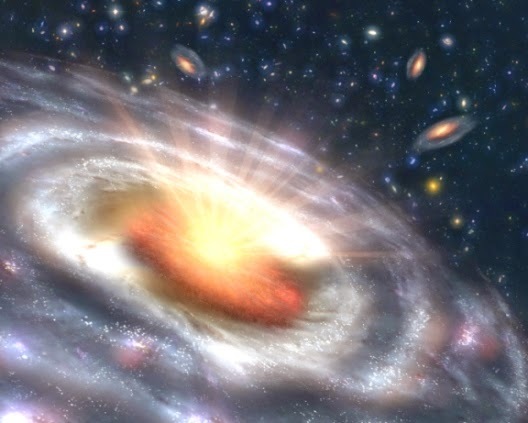 Astronomy and astrophysics are disciplines that one would consider "off limits" to creationists, especially with black holes, huge distances and so forth. Not hardly. Some are able to cast off "deep time" presuppositions, believe the Bible and also be productive in their fields. Dr. Jonathan Sarfati had a discussion with Dr. Markus Blietz about such things. Dr Blietz explained how a black hole is predicted by Einstein’s General Theory of Relativity if an unimaginable amount of mass accumulates in a very small space. E.g. the sun (mass 2 × 1030 kg) would need to be compressed into only 6 km (4 miles) diameter. But the centres of the galaxies are proposed to be supermassive black holes. These would be up to 100 million times the sun’s mass, concentrated in a volume with a diameter smaller than the distance from Earth to the moon (384,000 km / 239,000 miles). You can read the rest at "Galaxies, Black Holes, and Creation".